Tradeaust-Inspiring destinations within your reach. Our exceptional tour packages has some of the best houses for you and your family to stay during the tour. We understand that each customer is different and we are keen in offering solutions to any questions our clients might have. Our travel experts will tell you the best places to visit within your budget. Most of our travel agents have already gone to all the tours you will be going. Thus, we know the best places to stay and visit during your trip. The travel agents at Tradeaust are the best, they guided us and never hesitated to help us out whenever we asked them. My family and I had a great time during the trip. Everything was planned and executed very nicely. One of the most famous and well-loved travel destinations in Australia is the sunny Gold Coast in Queensland. The Gold Coast itself stretches along over 57 kilometres of coastline and has a population of over half a million people. It’s not just beaches though there is also sub-tropical rain forests which are very beautiful in their own rights. The Gold Coast is a great place for business, investment, study, sports and tourism and it is located near two international airports. The tourism industry is booming at the Gold Coast and they welcome close to 12 million people each year. The beaches alone are enough to draw a crowd to the Gold Coast. Surfers Paradise is the keystone beach however it can be very populated as its the beach that pretty much puts the Gold Coast on the map. Even when it’s busy there is plenty of sand for everyone, there is a wide paved boulevard along the entire stretch of beach which is ideal for exercise. There is a countless amount of restaurants and cafes for you to eat at too, there is a reason its the most well-known beach on the coast. However, there are a bunch of other beaches that you should check out! Main Beach is calmer than Surfers, its fringed by sand dunes and some great resorts. It is a huge stretch of white-sand which continues all the way north to the Spit and you can also see glimpses of South Stradbroke Island. 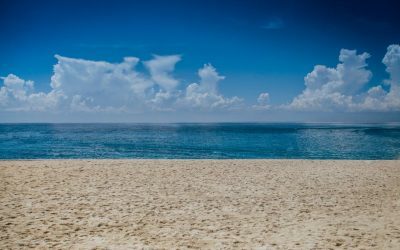 There are so many beaches to check out just make sure you have a good explore while you are are in the area, don’t just settle for the first area you see, or the most popular ones. 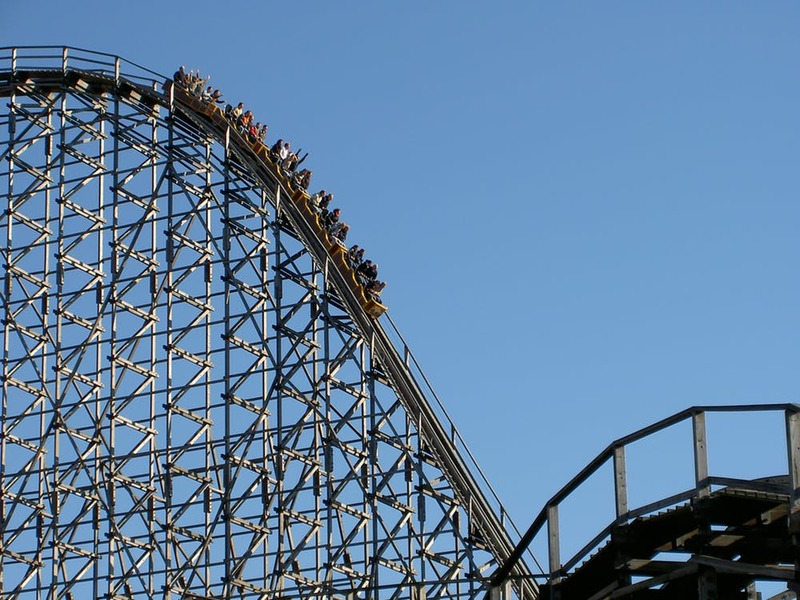 Each of these parks have their ups and downs, different perks and exciting things to do. You should definitely visit them if you are even remotely interested in that kind of thing. My favourite is Movie World some of the rides there are very intense! This is only a small taste of what you can do in the Gold Coast, make sure you check around at other resources for more information! It truly is a great place to visit. Today we will be giving you a walk through on downloading a travel app from the Apple store. It is a pretty easy thing to do and Apple has done a very good job in making sure that the interface itself is pretty easy to navigate. The store is accessible through the App Store app on your phone (pretty crazy huh). Once you’re in the App Store there is a variety of ways you can look for Apps. You can tap on today, to see any featured apps. If you click on Games or apps you can see different apps sorted into things like new releases, top charts or you can browse by individual categories like drawing or painting apps. You can also use the search function if you know roughly what you are looking for. If the app is free all you need to do is tap the free button if it costs money then tap on the price. You may be required to authenticate your free download or purchase. You will have to enter your Apple password or maybe use your touch ID if that is the way it is set up. Once it is downloaded it is as simple as clicking the app on whichever home screen it is on ( you can move it to a different one if you like by holding down your finger on the icon and then dragging it to another screen). After you have tapped it you are good to go. Beware, some apps have in-app purchasing do not be sucked in too badly and make sure you only spend what you are comfortable spending. There are certain things you can find only in Australia as it is unique to the country and its culture. It amuses the people living in Australia to witness these things and it amazes the people visiting Australia as they would not have seen anything like it before. 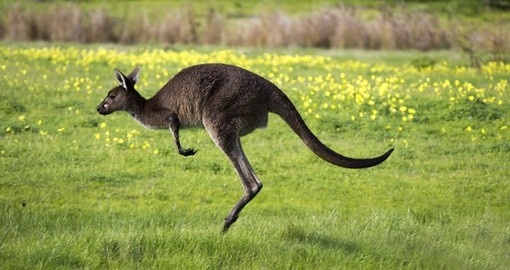 So, let us look at a list of these things which are found only in Australia. The three metered wide jelly fish that can be found in Australia. It is enormous in size and far larger than the size of a regular jellyfish. The size of this jellyfish shocks millions with its wide width. Scientists have still not figure out what it can be classified under but it is now commonly found in Australia and washes up to the seashore to amaze people. Hailstones during summer. Yes, you read that right. Australia witnesses and experiences tremendous hail stones during summer. The size of the hail is pretty big and can easily hurt people. You would expect to go outside and relish the summer heat and sunshine but you will be forced to stay indoors and within safe and sheltered areas. These hailstones can effectively injure an individual. So, if you do want to take a walk in Australian summer be sure to be dressed for a hailstorm. Australia is known to have the largest bat species in the world. There are many dynamic types of bats that can be found in Australia in dark and covered regions. You will surely witness a few bats in the evening when the sunshine fades away. If you are staying around an area which is covered with forest then even more so. But, what is more interesting is that you will see types of bats that you have never seen before and can be seen only in Australia. One of them is the giant flying fox. This has the head and body that looks like a fox but has the wings of a bat. The giant earthworm. When we say giant, we mean well… GIANT. This earthworm from far away may even look like a thick pipe to you. This earthworm can also be a little heavy to carry or hold in your palm. It lives for up to 8 years which is very impressive for a worm as worms generally have a life span of 10 weeks and sometimes that can go up to go up to 40-45 weeks but not more than that. Australian pythons are known to be the scariest pythons on the planet. They have no mercy and can eat up preys almost their own size. They can dislocate their jaws to chew down a prey. They are also known to live near human habitat. Planning to go to Australia? 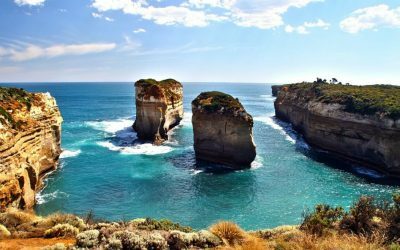 Let’s look at a few places that you have to visit in Australia if you are planning to spend some time there. In case you’re searching for some mesmerizing nature, the Blue Mountains are for you. 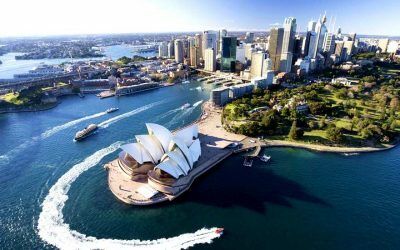 Just 1.5 hours from the rushing about of Sydney, you can go for a multi-day trip or an end of the week escape, contingent upon your travel time span. Set aside a few minutes to visit Wentworth Falls. This spot offers walks of many kinds with dazzling perspectives of the cascade, and it’s only a short drive from the headliner – The Three Sisters. These acclaimed rock formations are the feature of this pleasant postcard territory. In the event that you go to Echo Point you can get an epic sight of them or bounce on Scenic World’s gondola. Bathurst is one of the most loved spots in Australia for many number of reasons. Bathurst can be an exceptionally adored place since usually ignored by tourists, in spite of having such a great amount to offer. It’s the most established inland city in Australia and is the site of the first Australian gold surge. Visit the T-Rex at the Australian Fossil and Mineral Museum, take a turn around the celebrated Mount Panorama Circuit. You can also get some coffee from the campos and go for a walk through Machattie Park and look at the memorial plaque from Charles Darwin’s visit in 1836. Sydney is the biggest city in Australia – loaded with excellent beaches, fun exercises and great sustenance. Extraordinary compared to other approaches to see the excellence of Sydney is by going for an unwinding walk. An astounding beach walk, and truly outstanding, is from Bondi Beach to Coogee Beach. It offers flawless perspectives of the region’s renowned rough beaches, thin beaches and sandy beaches. Another famous walk is along the Sydney Harbor Bridge walkway. The two strolls are free and are an incredible method to appreciate Sydney. 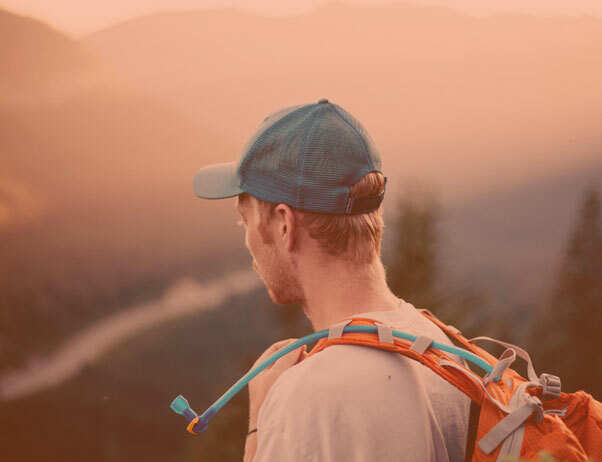 Byron is one of Australia’s best tourist goals however in the event that you’re willing to put in a little work you can in any case locate some more well shrouded jewels simply out the back in the hinterland mountains. From endless waterfalls and swimming openings to inconceivable mountains and shrubbery strolls this little area has concealed so much magnificence. Melbourne has anchored its spot of the most liveable city on the planet the seventh time in succession. Most days see a differed climate – hail, sunshine, rain, wind – however that doesn’t obstruct the beauty of Melbourne. Any given day you can discover an occasion, an event, a music gig, or a show to savour. You gain admittance to free trams inside the city hover to meander across the city over and about without spending a buck on transportation. Brisbane has much to offer tourists as it’s the launch pad for all the wonderful sights of south east Queensland. Brisbane’s modern airport give easy access to the city and surrounding areas. The fabulous Gold Coast and it’s theme parks, beaches and nightlife are major attractions. Our visit involved a Gold Coast limo hire tour of the city and around surfers Paradise. I highly recommend spending a week on the Gold Coast to see all it has to offer. Copyright © 2018 tradeaust.com. All rights reserved.